April 30, 2010 -- This spring, composition students at ASU are finding inspiration for their writing outside the classroom. Partnering with multiple community organizations, Dr. Kate Henderson’s Composition II classes are exploring social issues not just through their textbooks, but through hands-on work alongside members of the Jonesboro community. Small groups of students spent the first week of April working with several organizations in Jonesboro. They cared for abandoned animals at the Northeast Arkansas Humane Society; offered childcare and supported teen parents at Paces, Inc.; prepared for a Mother’s Day Brunch sponsored by the Woman’s Discovery Center; packed food for seniors at the Food Bank of Northeast Arkansas; lent a hand constructing a house with the Habitat for Humanity of Greater Jonesboro; helped organize the March for Babies event with the March of Dimes; and spread the word about support for drug addiction with Out of the Dark. Students saw this as a chance to learn more about the local community. Linh Pham’s service with the Food Bank helped her discover “how big of an issue hunger is in Northeast Arkansas,” while Mizuki Ueno, an international student, loved working with the March of Dimes because it allowed her to explore Jonesboro and make connections with people outside of ASU. 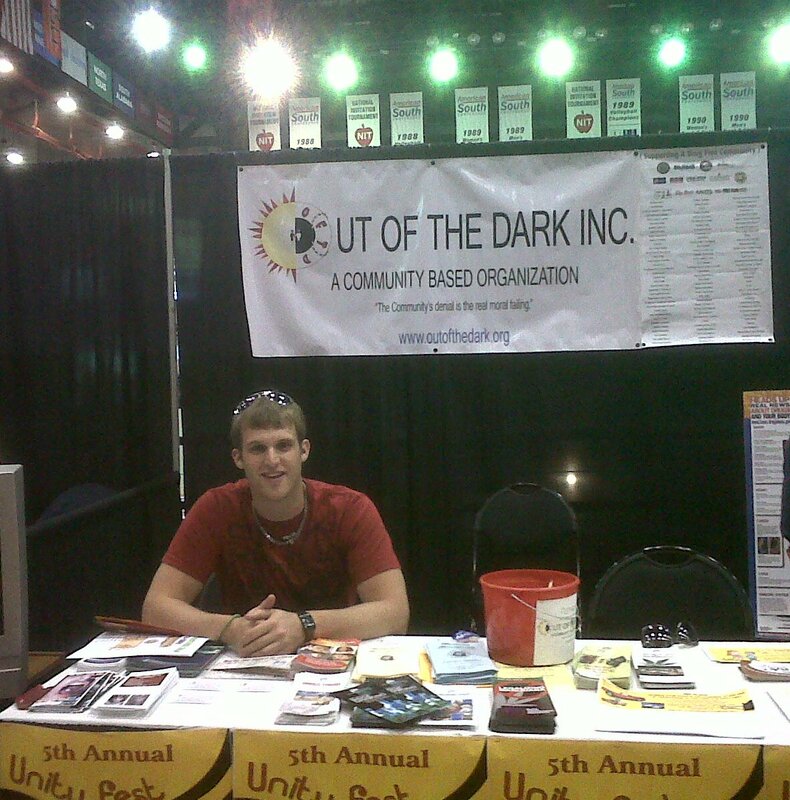 Some students have become so inspired by these organizations that they plan to offer more of their time. Kristie Lloyd, interim director of Paces, Inc., was pleased that one of her student volunteers, Karysta Sturges, plans to continue working with them in the future. Sturges, a psychology major, initially chose to work with Paces, Inc., because she hoped to be able to learn more about helping and relating to teen parents. This work aligns with her major, but is also important to Sturges because she has several friends who have young children. For more information, contact Dr. Henderson (khenderson@astate.edu) at (870) 972-3043. Photos, from top, are courtesy of Dr. Kate Henderson. 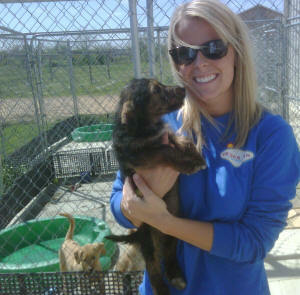 Jordan Tyler, an ASU psychology and counseling major, pitches in with puppy care at the Northeast Arkansas Humane Society. 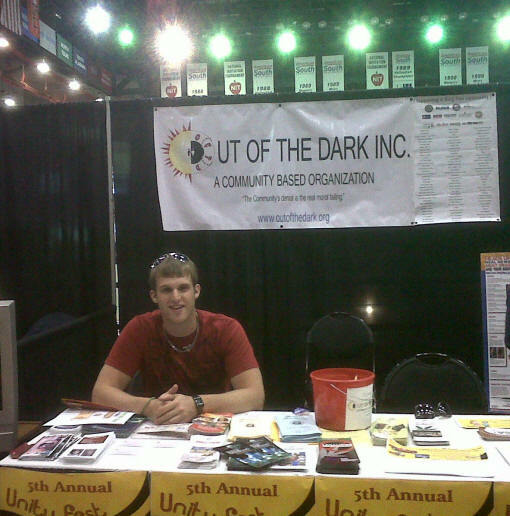 ASU student Chase Mooney promotes Out of the Dark's drug rehabilitation and support groups at the recent ASU Education, Nursing, and Health Professions fair.